Consulting Research Groups in Strategic Business Environment, Stakeholder Engagement and Empowerment, Economic, Commercial Business Operations and Policies Research through 360º Analysis on Political, Economics, Socio-cultural, Technological, Environmental, Legal and Security aspects. I hold a PhD in International Law, International Relations and Management from University of Paris 5 – Sorbonne René Descartes and have developed Trans-Disciplinary and Mixed Method Approaches during my Thesis in 2010. Since then, I have used MAXQDA for analyzing legal documents, historical archives, geopolitical maps, qualitative economics data, qualitative data on political opinions and public awareness based on surveys, focus group discussions, and social media observation. 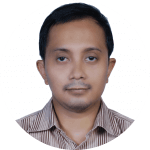 From 2012 to 2014, I worked for UNDP Indonesia as a Social Research Methodology Specialist for Human Security Index, and successively for Indonesia Planning Agency since 2014. I also frequently lead and conduct legal, social, political-economics and business researches. I offer regularly methodological courses including Computer Assisted Qualitative Data Analysis by using MAXQDA, in the International, European and Comparative Law, Comparative Politics and Strategic Business Environment, and have developed a strong interest in Trans-Disciplinary and Mixed Method approaches, not only in campuses, but also in government bodies, ministries, corporates and civil society organizations, which I am enjoying and pleased to share in my workshops or to apply as consulting service for interested research groups, especially on legal, social, political-economics, and business research groups. I also use MAXQDA for many researches and consultancies including in marketing and business intelligence analysis and legal network analysis. Syaltout, Mahmud. "Les Effets de l'Organisation Mondiale du Commerce sur la Coopération Économique et Commerciale entre les États de l'Asie de l'Est (ASEAN+3)." Université Paris Descartes, 2010. Syaltout, Mahmud, "The South China Sea Dispute and the WTO System." Prospects of Cooperation and Convergence of the Issues and Dynamics in South China Sea, Jakarta, 30 Mai, 2011. Syaltout, Mahmud. "Concept Note Indonesian Security Index." 1, no. 2 (2012): 1-61. Syaltout, Mahmud, Edy Prasetyono, and Riefqi Muna. Indonesia Human Security Index: Synthesis and Policies. Jakarta: UNDP - Bappenas, 2013. Syaltout, Mahmud, Hizkia Yosias Polimpung, and Azis Rakhmani. "Cultural Dilemmas on Indonesian Diplomacy' Strategies in ASEAN." (2014): 1-192. Syaltout, Mahmud and Edy Prasetyono. Indonesia Human Security Index: Methodological Update. Jakarta: Bappenas, 2015. Syaltout, Mahmud. Measuring MRT Public Awareness Index 2015. Jakarta: PT. MRT Jakarta, 2015. Syaltout, Mahmud, Dave Lumenta, Juliadi Karmandito, et. al. Socio-Economic Feasibility Analysis and Land Use Conflict Risk Assessment in Oil and Gas Projects. Jakarta: ANP-Insight, 2015.